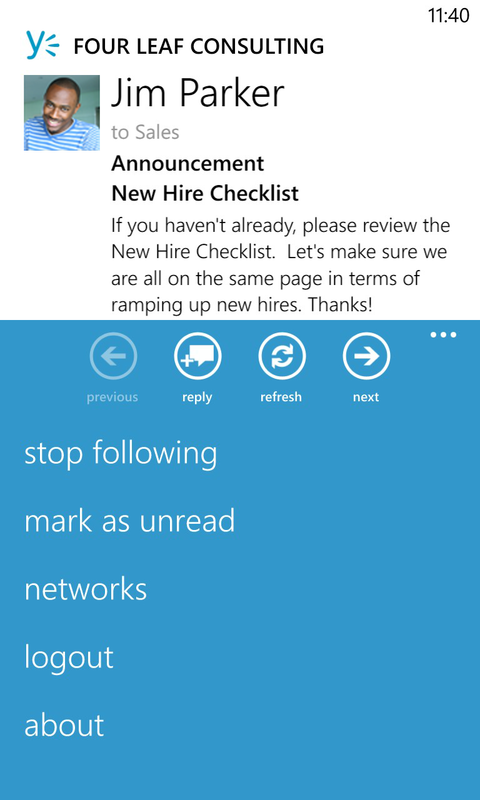 Yammer today announced recent updates to its apps for all supported platforms: Windows 8, Android, iOS, and Windows Phone. 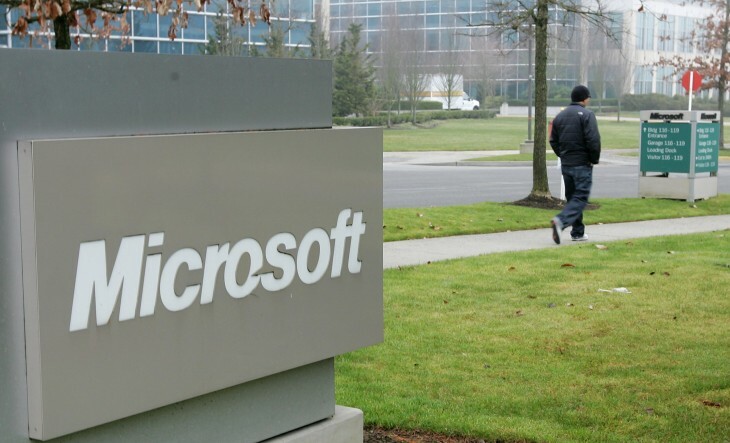 The Microsoft-owned company has added new features, streamlined the design, and in some cases even rebuilt the app from scratch. 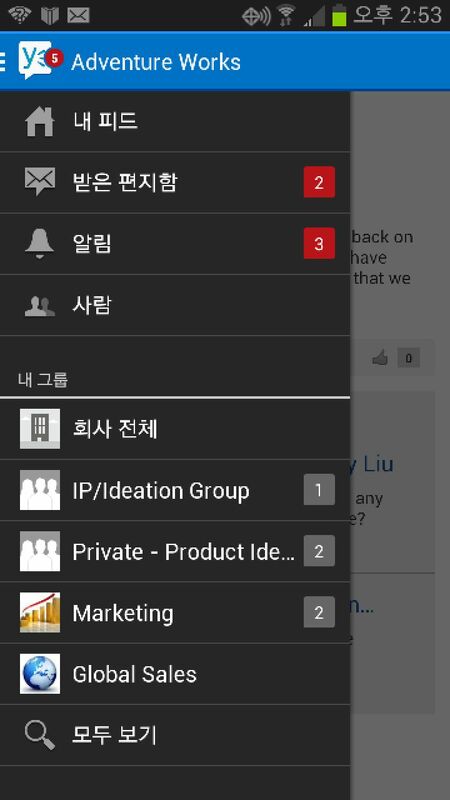 First up, the Android app has been redesigned “to be more familiar to Android users.” It has also gained support for Korean, Japanese, German, and Spanish, as well as being able to detect your native language settings on the phone and adjust its interface accordingly. 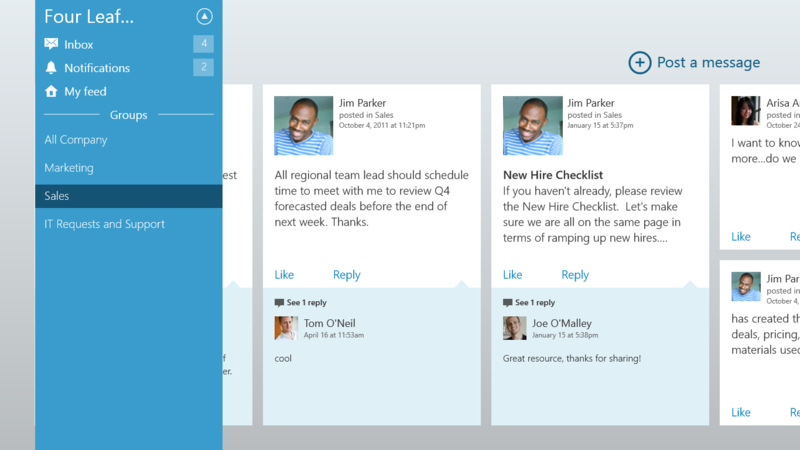 Next, the Windows 8 app now lets you access and participate in Group Feeds, in addition to your Home Feed, as well as use the operating system’s Snap functionality to use Yammer alongside another app. New notifications and live tile functionality have also been added to alert you to Yammer messages when the app isn’t open. Last but not least, the Windows Phone app has gained support for the Inbox, letting you view your most relevant conversations and manage your messages. Just like on Windows 8, new notifications and live tile functionality will alert you to Yammer messages when you don’t have the app open. Group search has also been added so you can find Groups, which you can now join and leave from within the app. 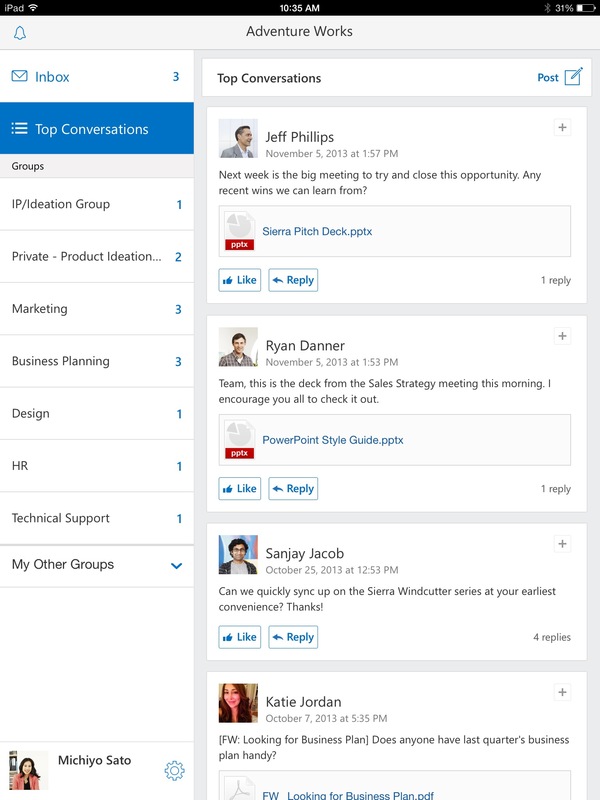 We would prefer if Yammer had updated its apps one by one; we doubt these improvements were all ready at the same time. That being said, Yammer is still very much an enterprise beast, and companies would much rather update their software all at once.